Recently I showed you a few Halloween cakes that I was considering for Miss Ruby's birthday. 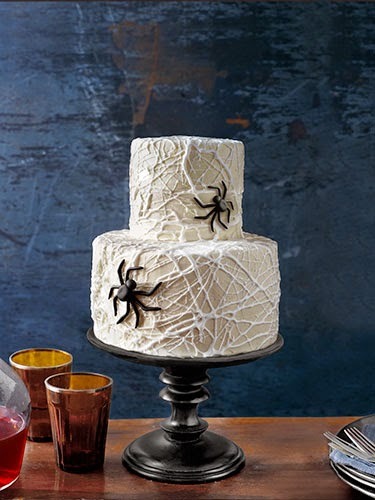 I really loved this spider web cake that was made by Carrie of The Cake Blog. When Michaels contacted me about participating in #TrickYourPumpkin, I knew this cake would be my inspiration. 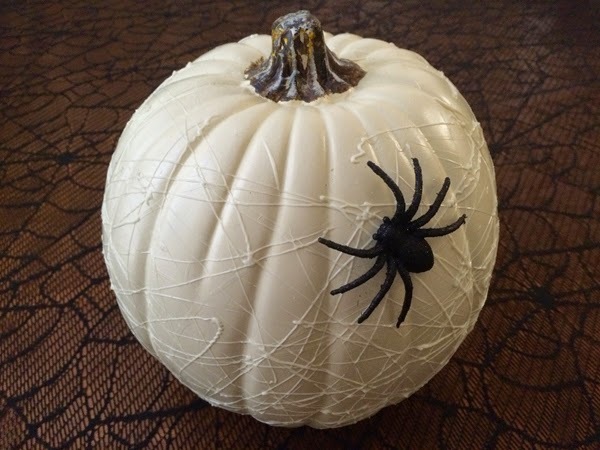 I headed to Michaels and picked up a white craft pumpkin, a bottle of white Apple Barrel craft pumpkin, some fun glitter spiders. 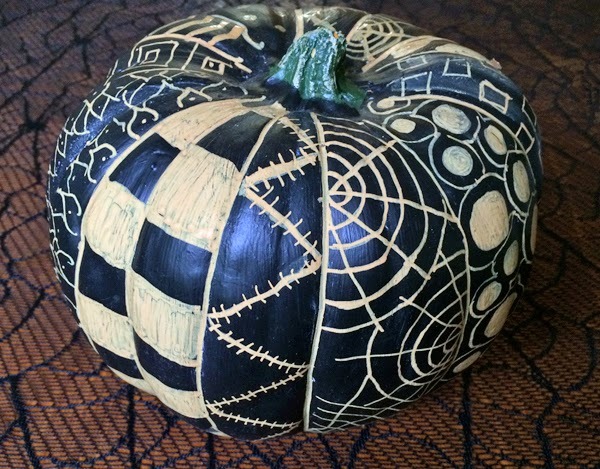 I put the paint in a squeeze bottle and my 6-year-old daughter helped me fling it all over the pumpkin. 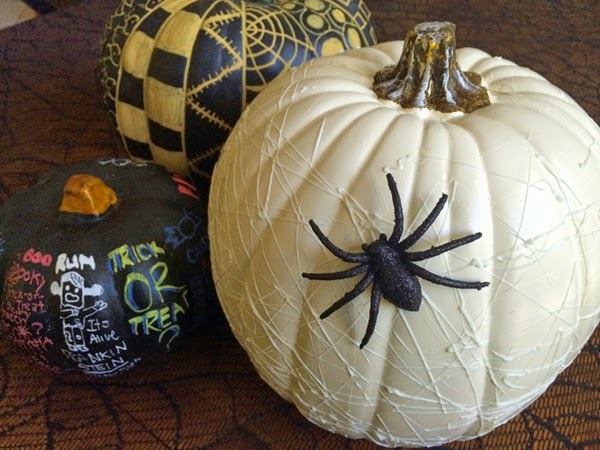 If you are looking for a fun Halloween craft for kids, just let them fling some paint over a pumpkin! It is a good time! We waited for it to dry and then attached the fun glitter spider with some super glue. 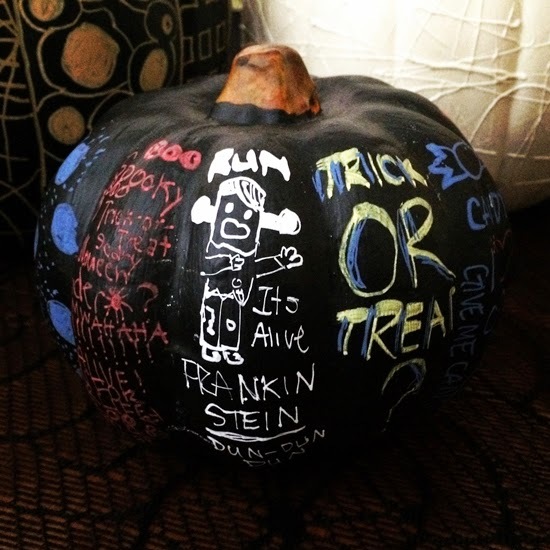 I also pulled out our chalkboard pumpkins that we made a few years ago by painting craft pumpkins with chalkboard paint. We used some chalkboard markers I picked up at Michaels to do some Halloween doodling. Doodling with chalkboard markers is so much easier (and more fun) than doodling with actual chalk! My older daughter joined in. I love how her Halloween pumpkin turned out! #sweepstakes for a chance to win the gift card plus Plaid products. 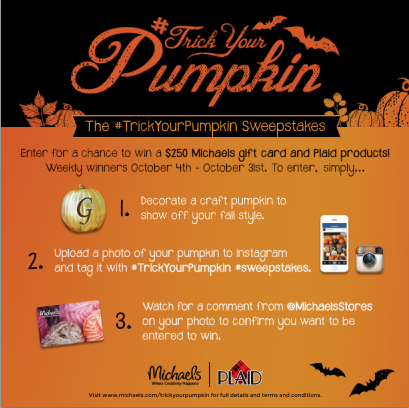 I can't wait to see your #TrickYourPumpkin entries!! Michael's provided me with the materials to create my pumpkins. No other compensation was provided for this post.